Breathe. Relax. Take a second, it's going to be okay. These aren't quotes from the film Respire nor are they my message for any of the characters. This is what went through my head during and shortly after the final gut punch of a scene left the screen. This, ladies and gentlemen, is a damn fine film, directed by Melanie Laurent whom, frankly, I had no idea directed at all let alone with this level of confidence and precision. Laurent is an extremely recognizable face for me as she stars in the brilliant Quentin Tarantino film Inglourious Basterds, but she remains unseen here as her work behind the camera is beyond impressive. Respire tells the story of Charlie, a teenage girl who is lonely and severely lacking confidence until one day a girl named Sarah enters her life and everything changes. Their connection is deep and their friendship blossoms quickly, giving Charlie the bounce in her step she so desperately needed. Their closeness doesn't last. Their connection falls apart. Their relationship becomes unsettling. Clocking in at under 90 minutes, there is no such thing as a wasted scene in Respire and my goodness does Laurent absolutely own the material. Her camera moves with beauty and ease and every choice feels so damn right. I could go on and on, breaking down multiple moments to really drive home the fact that I am floored right now by the skill demonstrated by Laurent, but instead I will focus on just one sequence that on face value doesn't feel very complicated, yet for me it was jaw dropping. I have previously expressed how much I am dazzled by a perfectly executed long take, and Respire features one that immediately ranks among my favorites. The camera is outside of the apartment Sarah shares with her mother and it simply and slowly pans to the left, following Sarah through it as she faces the emotional abuse that apparently is the norm inside those walls. No cuts, no twists or turns, nothing special at all about the way we calmly and methodically move to the left, and that is precisely why this scene is so damn incredible. The flow of the camera makes it feel as if we are being voyeuristic, watching the personal struggles of this girl through the windows of her home, and it's simplicity is powerful and haunting. 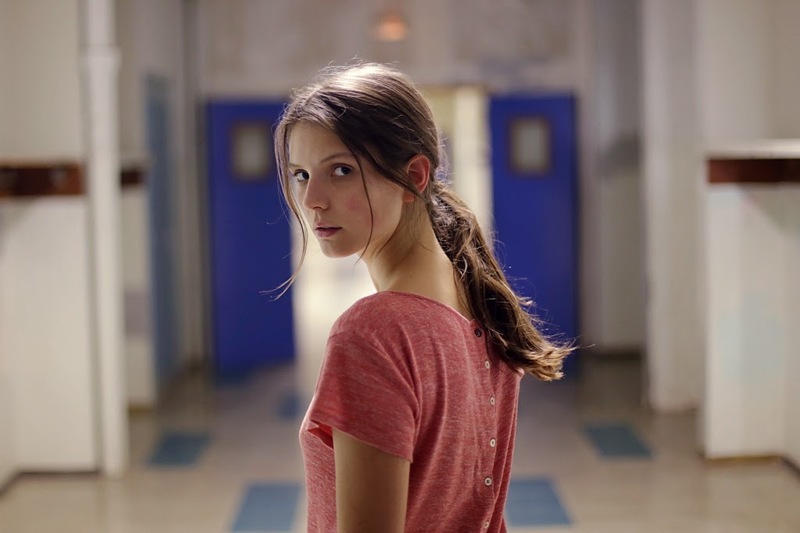 An incredible film throughout, capped off by an ending that is difficult to shake off no matter how hard you try, Respire is smart, savvy filmmaking. Breathe. Relax. Take a second. Sounds simple right? Is it though? Is it going to be okay? I can hardly wait to see the movie. Let me know what you think once you do Dawn, would love to hear about your experience. Thanks! NIce review....I can't wait to see it as well! Your blog is great!! Thank you so much Valerie, I really appreciate that! I hope you enjoy this movie, its only about 80 minutes long and it is powerful stuff.